I am honored to have been sworn in as the 2019 President of the Miami Dade Trial Lawyers Association. I thank our Board of Directors for their trust and support, and I know that together we will accomplish our goals and create a successful year for our members and sponsors. I would also like to extend a heartfelt thank you to our Judiciary for your longstanding and continuing support of the MDTLA and our commitment to the pursuit of justice, individual rights, and access to courts. We all have our own story for how and why we became trial lawyers. I became a trial lawyer because my father was a trial lawyer before me. But that’s just the foreword to my story. What matters most is what we achieve once we become trial lawyers. As trial lawyers, we are given a lifetime of opportunity to leave a legal legacy. Some of us are remembered for record setting verdicts, others for Pro Bono work. I believe our greatest legacy is not in our individual successes, but rather, what we accomplish together. Together, trial lawyers help people and families through extremely difficult times. Together, trial lawyers help our community by enforcing safety and responsibility. Together, trial lawyers put our civil justice system to use and ensure its strength and survival for generations to come. As 2019 MDTLA President, my vision for the organization is to honor and continue the legacy set before me. The MDTLA has a long history of excellent leadership. 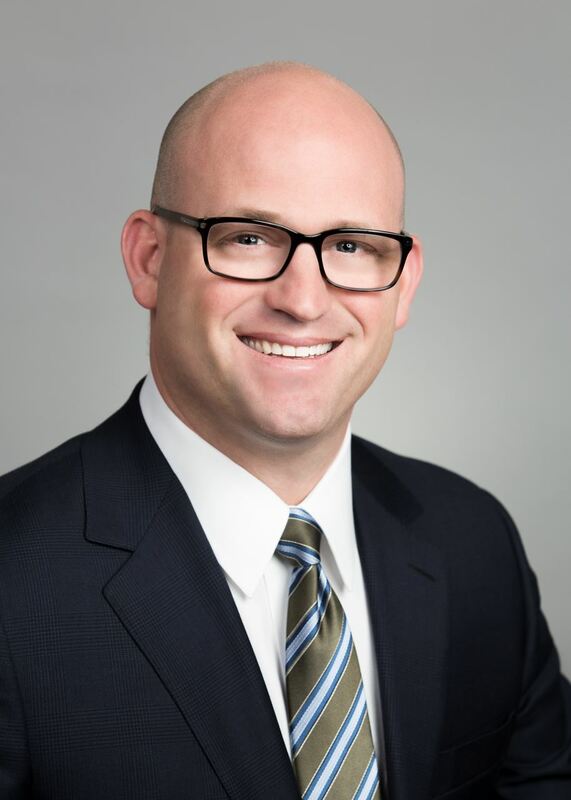 The Past Presidents before me along with our board of directors have helped this organization remain strong and relevant through the changing times and modernization of the practice of law. The simple fact is we all benefit from the trial lawyers before us, and we should all be a benefit to those who come after us. The Legacy of the MDTLA is something worth celebrating. 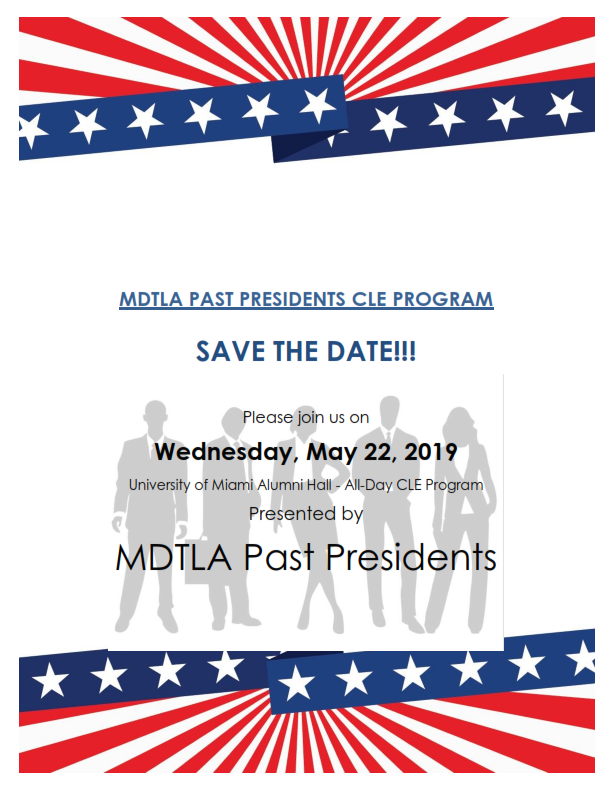 For example, it has always been an important goal of MDTLA to promote the continuing education of our attorney members, and so for 2019 we are planning a full day Past Presidents CLE event, with seminars put on by our Past Presidents to be held in May at the University of Miami. 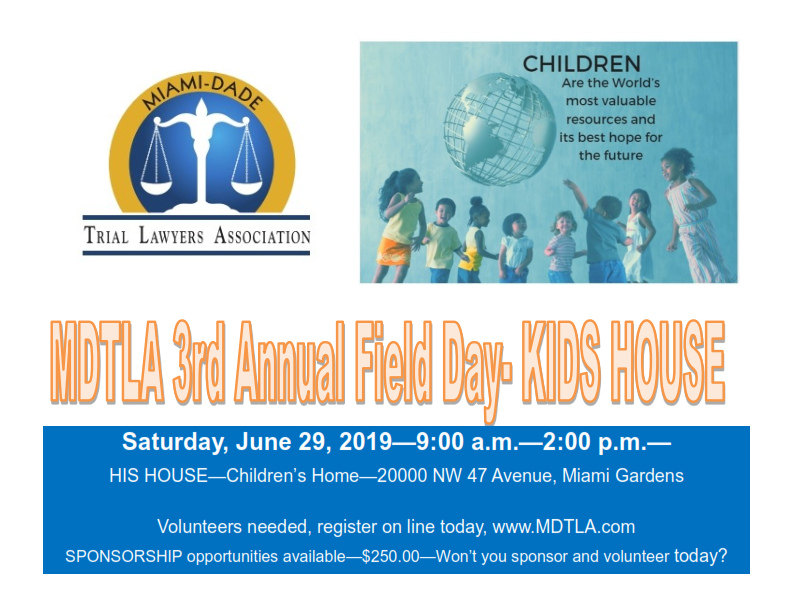 By adding this CLE event to our other signature events (MDTLA Gala, MDTLA Judicial Reception and MDTLA Holiday Party & Elections), our organization is committed to mentoring the future trial lawyers of Miami Dade County, while recognizing and celebrating our trial lawyer leaders from the past. Ultimately, I am excited for the year ahead. We have an energetic Board of Directors poised to make a difference in our community. 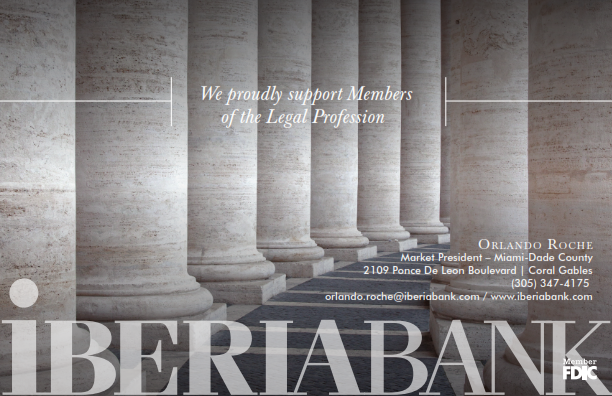 We have an active and growing attorney membership. We have wonderful support from our sponsors. And we have a Judiciary dedicated to our civil justice system and to MDTLA’s success. Together we can leave a lasting legacy.